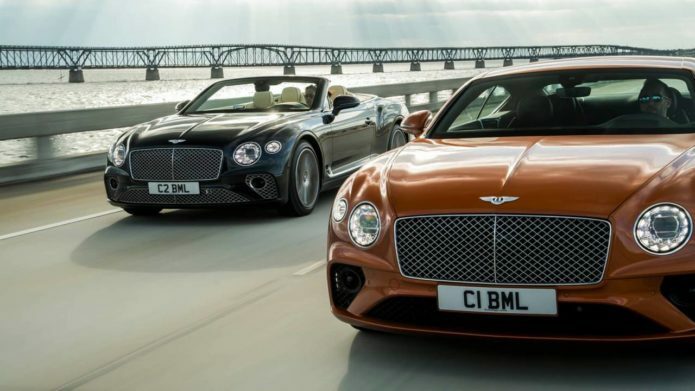 Bentley has revealed two more affordable versions of its flagship grand tourer, with the Continental GT V8 and Continental GT V8 Convertible promising agility along with a more accessible price tag. Joining the existing twelve-cylinder W12 versions of the coupe and cabriolet, the new cars may be down on power but they’re hardly weedy. In fact, the 4.0-liter twin-turbocharged V8 gas engine is good for 542 horsepower and 568 lb-ft of torque. They’re figures that only look conservative when you’re contrasting them with the 626 hp and 664 lb-ft of the beastly 6.0-liter W12 TSI engine that the Continental GT launched with.